Gonna save myself the embarrassment and just post the press release right now. 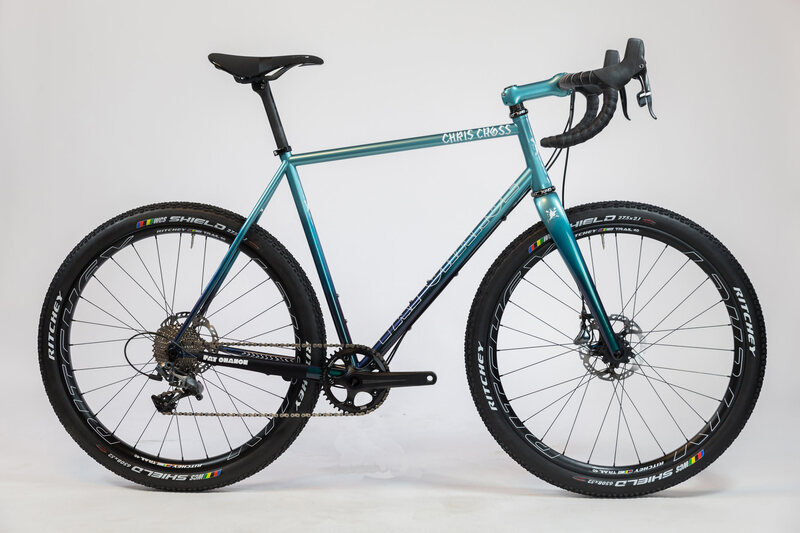 This cyclogravelventuregrinder from Fat Chance is looking hella sweet. ASHLAND, OR – Fat Chance Bicycles – www.fatchance.bike – introduces the Chris Cross. Designed, welded, and painted in the USA, This mixed-terrain machine is capable of crushing your local CX race or gravel grinding your way through the mountains and beyond. 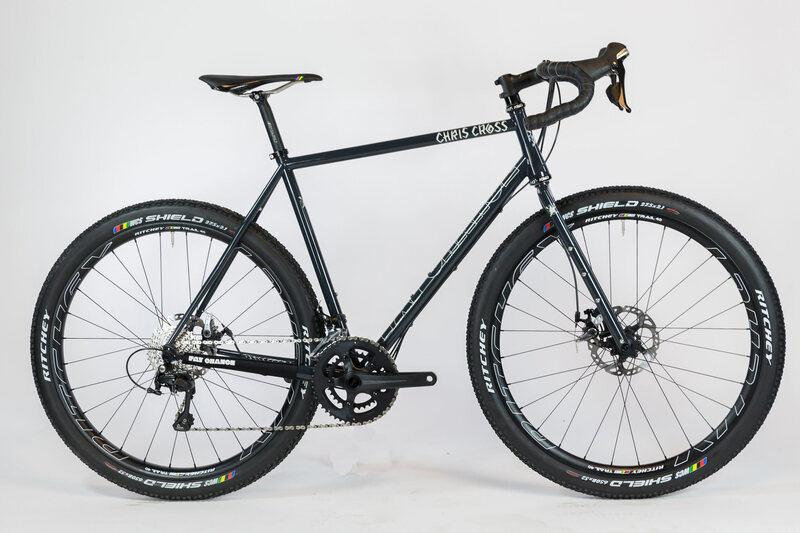 Built from a mix of Columbus and Reynolds 853 tubing, the Chris Cross features oversized chainstays and curved seatstays to allow ample room for 700x40c or even 650b x 2.1” mountain bike tires (With ENVE CX fork). 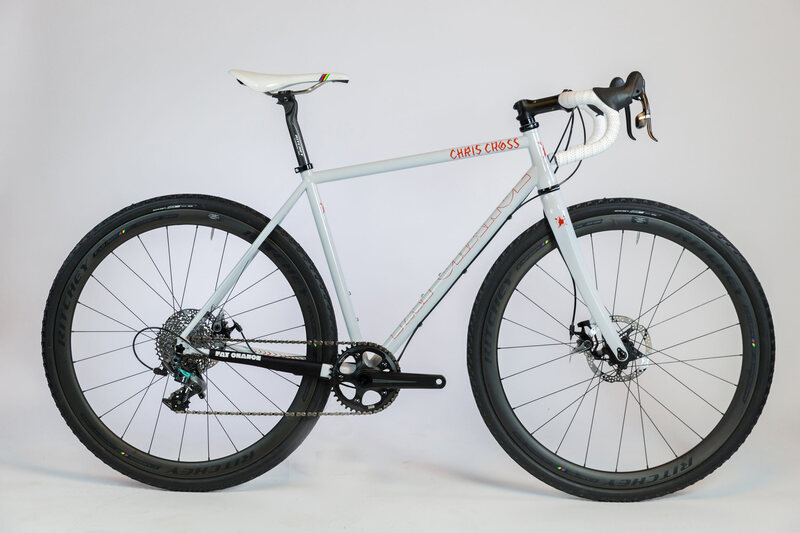 Beyond the clearance versatility, the Chris Cross is built with proprietary modular downtube cable routing which gives flexibility to run up to 4 cables for either a 1x or 2x set up. Full builds come with customizable options such as paint, components, and forks. The Chris Cross is available in 3 single color options (Grello, Team Lavender, and AquaBlue) and 2-color fades (AquaFade, Chameleon Metallica, and Purple Sapphire). Fork options: Ritchey WCS carbon fork, TRP Carbon, Yo CX fork (with fender mounts) or ENVE CX fork for clearance to run up to 650b x 2.1” MTB tires.